for more comment. Many posts today. Seven post day and here is another one. I am plugging the Sisters of Life today. 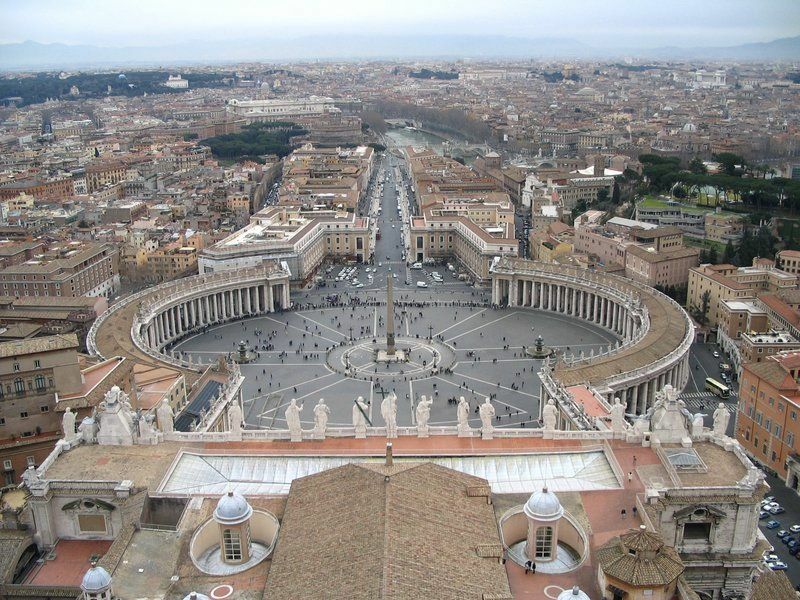 One of the marks of this congregation is that the entire ministry is one of supporting Life, as against abortion and contraception. If a young woman is considering a vocation which is timely and highly needed, here is an order to choose. The link to their beautiful website is here. 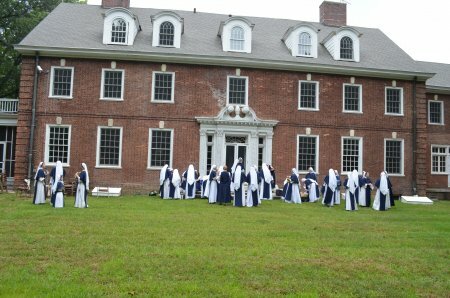 The sisters also have a retreat house, which may be seen at this link. If you can send them a donation, do so. 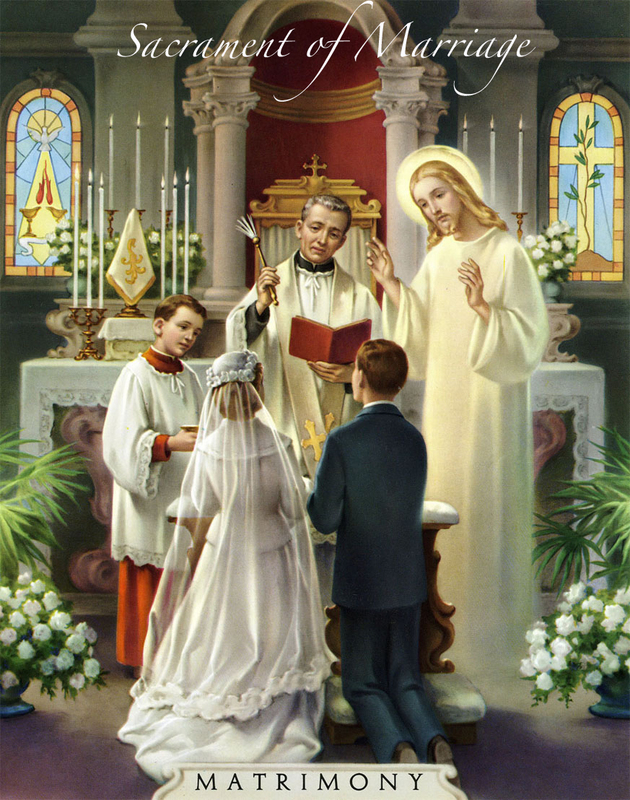 If you are considering a vocation to the religious life, consider them. Pray. We could use them in Europe. The sisters support Courage, and here is a note on the upcoming special conference at which they shall take part. Join our Sisters at the National Courage Conference this summer. This year’s conference features many excellent speakers including: Raymond Leo Cardinal Burke, Fr. Paul Check, Msgr. John Esseff, Dr. Rick Fitzgibbons, Andrew Gill, Th.Psy.D., Fr. Benedict Groeschel, CFR, Fr. Jeffrey Keefe, Timothy G. Lock, Ph.D., Bishop Thomas Olmsted, Fr. Paul Scalia & Sean Stevens, Ph.D.
Dr. Sanity has surpassed herself in her comment on the SCOTUS decision. I highly recommend you read her blog on this, and here is a cartoon from her blog. She is one of my two favorite blogs and she is especially intelligent, as some of you know. She quotes Stephen Hicks with regard to this delusion of the Post-Modern, one of my themes, but here so excellently defined. To the modernist, the "mask" metaphor is a recognition of the fact that words are not always to be taken literally or as directly stating a fact--that people largely use language elliptically, metaphorically, or to state falsehoods, that language can be textured with layers of meaning, and that it can be used to cover hypocrisies or to rationalize. Accordingly, unmasking means interpreting or investigating to a literal meaning or fact of the matter. The process of unmasking is cognitive, guided by objective standards, with the purpose of coming to an awareness of reality. For the postmodernist, language cannot be cognitive because it does not connect to reality, whether to an external nature or an underlying self. Language is not about being aware of the world, or about distinguishing the true from the false, or even about argument in the traditional sense of validity, soundness, and probability. Accordingly, postmodernism recasts the nature of rehtoric. Rhetoric is persasion in the absence of cognition....And so given the conflict models of social relations that dominate postmodern discourse, it makes perfect sense that to most postmodernists language is primarily a weapon. This explains the harsh nature of much postmodern rhetoric. The regular deployments of ad hominem, the setting up of straw men, the regular attempts to silence opposing voices are all logical consequences of the postmodern epistemology of language. Stanley Fish, as noted in Chapter Four, calls all opponents of racial preferences bigots and lumps them in with the Ku Klux Klan. Andrea Dworking calls all heterosexual males rapists and repeatedly labels "Amerika" a fascist state. With such rhetoric, truth or falsity is not the issue: what matters primarily is the language's effectiveness. 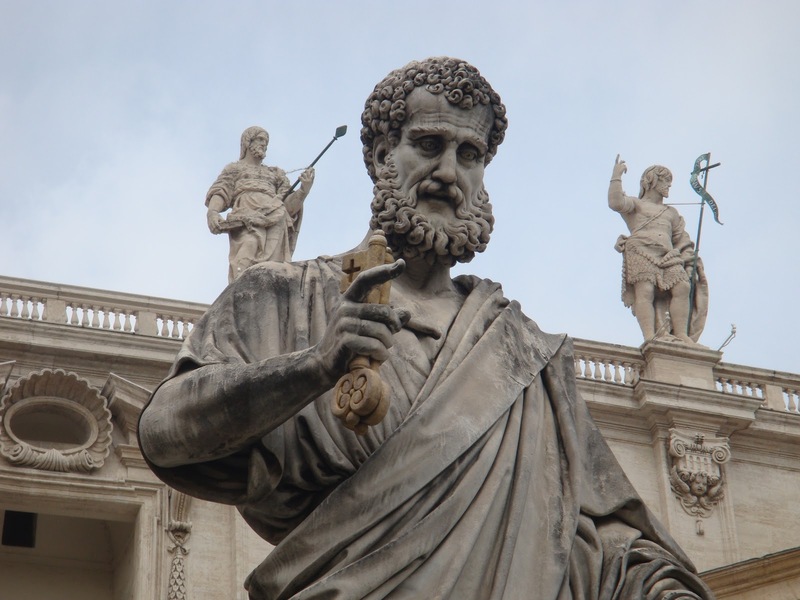 Language as a weapon, people, is used not only by Americans, but by Europeans as well, which is why we Catholics must not only put on the mind of Christ, but speak truthfully and clearly. An interesting take on the decision yesterday of SCOTUS may be found in WP by George Will. You may not agree with his proposal, but it is worth reading here. The court held that the mandate is constitutional only because Congress could have identified its enforcement penalty as a tax. The court thereby guaranteed that the argument ignited by the mandate will continue as the principal fault line in our polity. The mandate’s opponents favor a federal government as James Madison fashioned it, one limited by the constitutional enumeration of its powers. The mandate’s supporters favor government as Woodrow Wilson construed it, with limits as elastic as liberalism’s agenda, and powers acquiring derivative constitutionality by being necessary to, or efficient for, implementing government’s ambitions. A seminarian friend sent me this. My parents have been married for 64 and one-half years. 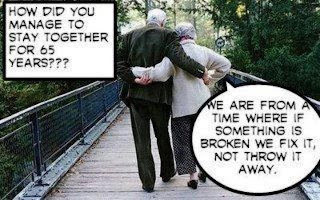 To all good couples in good marriages, God bless you. I remember today Arlene and Wayne, Joe and Kay, Myrna and Fred, Charlene and John, Charles and Eileen, John and Marie, Slavko and Anna, David and Sharon, and, Heather and John. 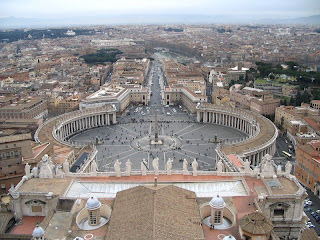 The Great Key to Truth and Love, and the Keys to the Kingdom-St. Peter's Rome is guarded by the statues of SS. Peter and Paul. The locals told me years ago that Paul's body language in the statue points to Peter and says, "Do whatever he tells you to do." Happy Feast Day of SS. Peter and Paul. 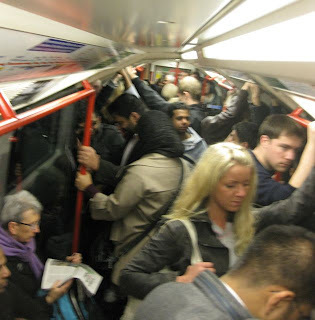 Yesterday on the tube, I overheard, as I was squashed up against the door, some smart young girls discussing the demise of the economic systems and security of Europe. One girl said she would ride her horse to work, without understanding that she may not have a job. The other girl was a bit more on top of the solutions. She said she had gathered together a list of people she knew with skills which would help a small group get by in economic crisis. What a good idea. Now, I could not tell by the way these two young women were dressed that they were Christians. However, if common talk on a tube revolves around crisis, more people than the Christians are thinking about this.